Japanese retailer Muji is set to open hotels in Shenzhen, China and Tokyo, Japan, which will be styled with the minimalist brand's furnishings and products. The first Muji Hotel will open in Shenzhen later this year, while the second has just broken ground in Tokyo's Chūō City and is slated for completion in 2019. While details about both projects are currently vague, Business Insider Japan reported that the Shenzhen hotel will include 79 rooms and feature recycled wood interiors. Early models of the suites are shown to be compact and minimally styled. In Tokyo, the hotel will occupy the upper four floors of a new 58-metre-high building, which is shown in renderings to feature a slatted facade above two completely glazed storeys. 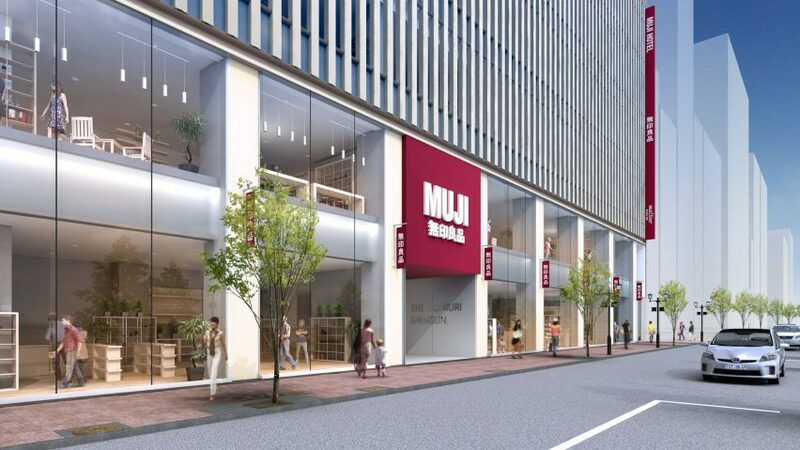 Muji's global flagship store will occupy the basement to the sixth floor of the building, developed by Mitsui Fudosan. The design of the Muji Hotels will be overseen by Ryohin Keikaku – the company behind the Japanese brand – using Muji furniture and goods. Muji ranked 26 on Dezeen Hot List, an index of the 400 designers, architects and brands our audience most wanted to read about. This is not the first time that the brand has ventured beyond its minimal homeware products, which are designed to be free of branding. Taking a move into housing, the brand has created a series of prefabricated residences, including a compact nine-square-metre house. It is also testing a prototype prefab house by having a competition winner live in it rent-free. Renderings are courtesy of Muji Japan.